In most respects they are highly similar. There are commonly greater differences between two interpretations of the same sub-style than there are between different sub-styles. The three styles all have the same roots but have evolved through individual teacher preferences combined with geographical separateness. All three have the same curriculum. A first form (yilu) to train understanding movement and a second form (erlu) to train releasing, with supplementary weapons training and push-hands. The labelling of these methods is a little arbitrary. A hundred years ago what is now called ‘Old frame’ was then called ‘New frame’.) There were also historical separations between stylists such as Big Fame and Small Frame. Laojia yilu can be argued to have evolved from this Big Frame. These sub-styles labels are partly to allow discussion about different teaching methods. The close proximity of these before more widespread travel in the twentieth century means that there was most likely a high degree of cross fertilization of ideas and teaching methods between proponents and their students. 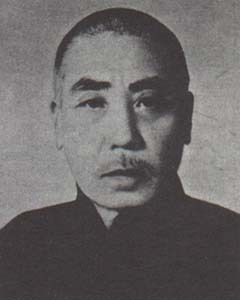 For example the four most prominent exponents of Chen Style from Chen vilage in the last generation (Chen Xiao Wang, Chen Zheng Lei, Wang Xian and Zhu Tian Cai) predominently studied with Chen Zhao Pei (see Laojia below) but alos studied albeit briefly with Chen Zhao Kui (see Xinjia below) after Chen Zhao Pei's death. 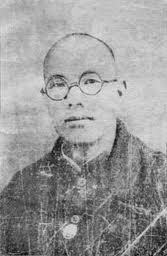 There are significantly less differences between the different styles within Chen style than there are say between Chen Style and Yang Style, although Yang Style was Chen Style 200 years ago as Yang Lu Chan the founder of Yang Style learned his taijiquan in Chen Village. The method taught by Chen Zhao Pei (17th generation) and his generation in the mid twentieth century inChen village. This is the method used by the four Chen Tigers, Chen Xiao Wang, Chen Zhenglei, Wang Xian and Zhu Tian Cai. It is the method used predominantly in Chen village. The method created by Chen Fake (16th generation) and taught by his son Chen Zhao Kui (17thgeneration) in Beijing in the second half of the twentieth century. In the last 20 years one of Chen Fake’s students (Feng Zhi Qiang) has developed and promoted another sub-style of Chen Style known as Hun Yuan Chen Style in Beijing which is sometimes referred to as Feng Style. The method, sometimes called 'small circle' was most famously taught by Chen You Ben (14th generation) in Peipinggao village (4km east of Chen village) in the mid-nineteenth century. A disciple of Chen You Ben, named Chen Qing Ping, taught a variation of this in Zhaobao village a little distance away. Today this is also sometimes referred to as Zhaobao Style. Nick Gudge teaches Chen style tai chi classes (chen shi taijiquan) in Limerick.